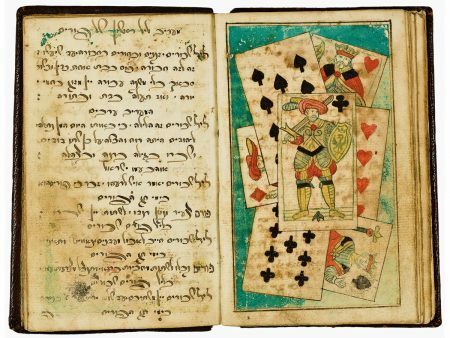 This manuscript contains the text of the medieval Massekhet Purim, a Purim parody by the Provençal scholar Kalonymus ben Kalonymus. Born in 1286 in Arles, he was living in Rome when he wrote this work in the early 1320s. Although it is not known when he died, it must have been after 1328, when he was back in the Provençe. Massekhet Purim, which humorously imitates the style and idiom of the Talmud, deals with eating, drinking, and drunkenness during Purim. Berg 1992; Printing the Talmud 2005, pp. 298–299, no. 66; Sotheby’s New York 2004c, lot 49.